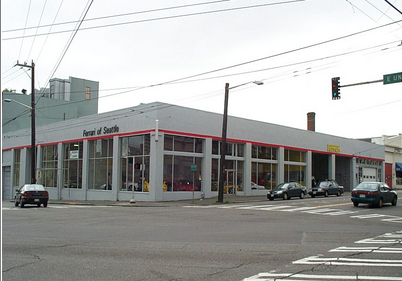 What will likely be the last of Capitol Hill’s auto row dealerships isn’t making plans to leave its 12th at Union home anytime soon. 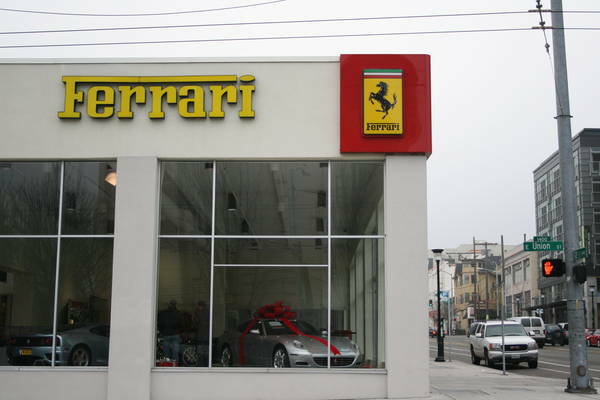 CHS has learned that Capitol Hill’s upscale Ferrari and Maserati dealership is making plans for a multi-hundred thousand dollar overhaul of its showroom. We’ve been in contact with general manager Tino Perrina about the work and the specific plans for upgrading the showroom where cars worth from $120,000 to more than $380,000 are showcased for neighborhood passersby and the steady stream of automobile traffic on 12th and nearby Madison. Earlier this week, CHS reported that Pike’s Bob Byers Volvo will leave the Hill this fall following a long exodus of auto-row related businesses from the neighborhood and amidst continuing demand to transform the large facilities into housing, restaurant and retail venues. Unlike the lease situation around the Volvo dealership, the Perrina family owns the land its dealership calls home, acquiring the parcels in 1999 for $3.5 million. The dealership encompasses 33,000 square feet in warehouse and garage space, a 600 square-foot office and the 2,100 square-foot showroom. It also includes a small 135 square-foot parking lot that exits onto 11th Ave and is a good place to see the high performance cars heading out for a run in Pike/Pine. The single-story buildings the dealership call home date to 1913, according to county records. Former Microsoft executive Rick Thompson is also part of the dealership’s ownership. Holding the land, though, hasn’t kept other family car businesses on the Hill. The Smart family cashed in its E Pike holdings after decades on the Hill. A seven-story project is now planned. The Perrina’s relationship with a changing Pike/Pine hasn’t always been a comfortable one. In 2011, CHS reported on the frustration of the dealership and other neighborhood businesses with organizers of the growing Capitol Hill Block Party. The fancy cars have also been the target of protest. In 2011, the showroom suffered a busted out showroom window during this 2011 anarchist march. 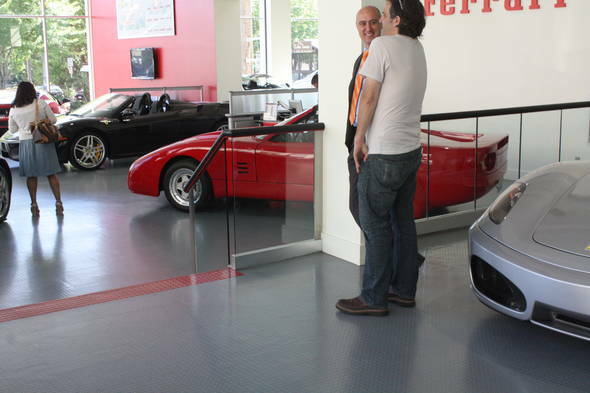 The dealership also brings a mix of well-heeled clientele and interested tourists to the neighborhood. It employs nearly 20 people. And it’s responsible for some beautiful, surreal scenes of $200,000, high-performance racing machines inching their way through an E Pike back-up. 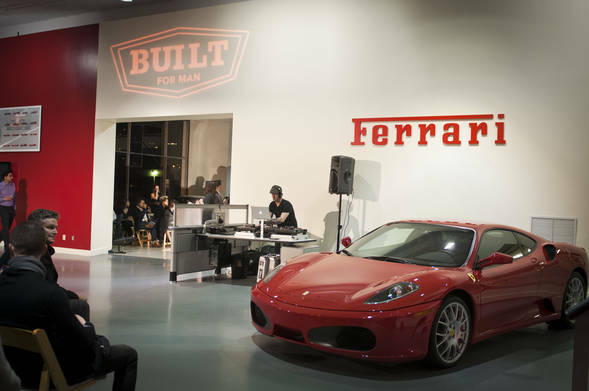 We don’t yet know what the Ferrari and Maserati of Seattle construction project will entail though the budget listed in city permits is a large one at $340,000. Construction budgets listed with DPD are typically for the base elements of the project so expect an even larger investment. 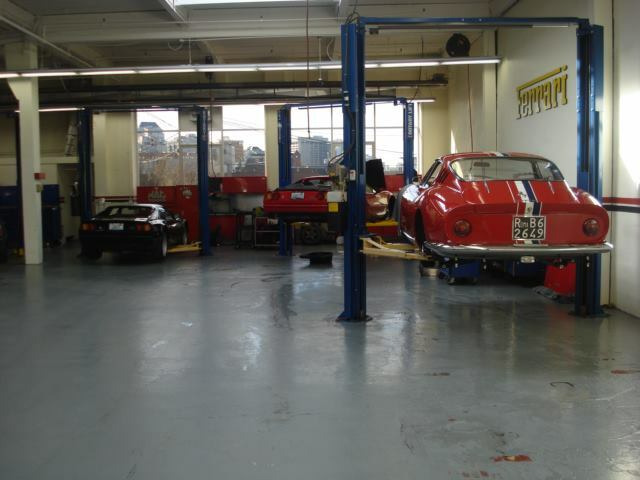 We hope to update you on the project and learn more about the dealership’s history and business. The area around the dealership is already busy with construction. This six-story mixed-use apartment building is in the middle of its construction schedule across E Union where the Undrearms previously stood. Meanwhile, this Liz Dunn office and retail project will add more development height to the dealership’s block. I travel 12th daily and enjoy seeing the exotic cars traveling to and from the dealership. They provide some nice eye candy, that’s for sure! I’m also sure Trace Lots are happy to retain their Western exposure by not having another 5 story building pop up across the street. The dealership will certainly provide some relief from all the multi-story buildings popping up in the area. At least they are not selling out to the highest bidder or leaving the area like so many other dealers. That means, hopefully, the original 1913 structure will stay put. Although it has been altered over the years, it’s nice to have some sort of history around. If so… what is that red one in the Meinert pic? 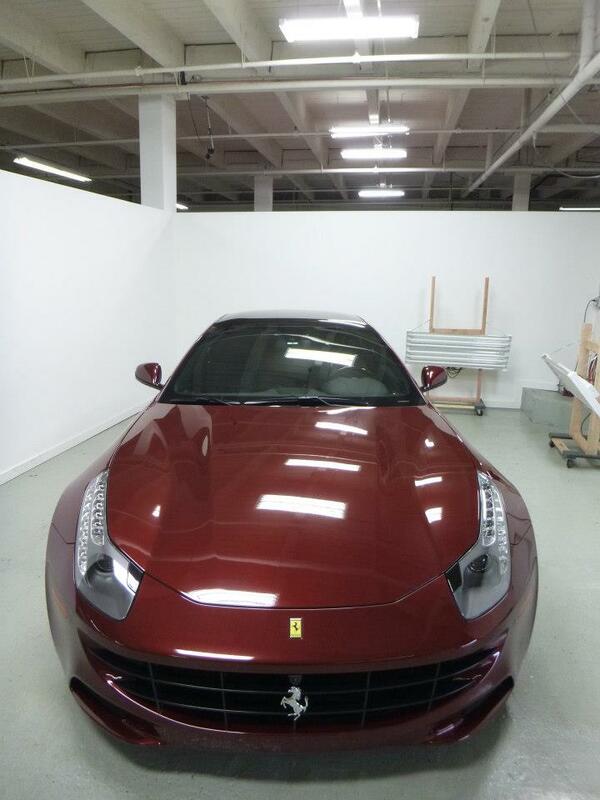 It looks like it has 308/328/348 wheels on it, but has some weird nose and 959-like tail. WHAT IS IT!!? ?